Current events in education are a crucial part of every person’s day to day activities. However the education world has its advancements in line with the rest of the world changes. Various current events in education have come to be in the recent years. Some are detrimental whereas others are a boost for better education to the children and the young adults. 1) The education world has been greatly influenced by the online influx into the world. Various exams and classes can now be taken online without the physical attendance of a class. This is an advancement in the Education sector since people from far countries and localities get to access quality education at the comfort of their houses. Access of education materials over the internet is an upside to the education sector driving it to a better future. The current world has also ensured equality between the distance learning services and the day to day learning services. 2) Another one of the current events in education is cheating. Cheating has become a common vice in the current education society. It has become so rampant that some schools opt to have CCTV cameras in exam rooms to monitor the students ensuring no cheating takes place. Despite the various efforts to reduce these cases, cheating cases are still on the rise. 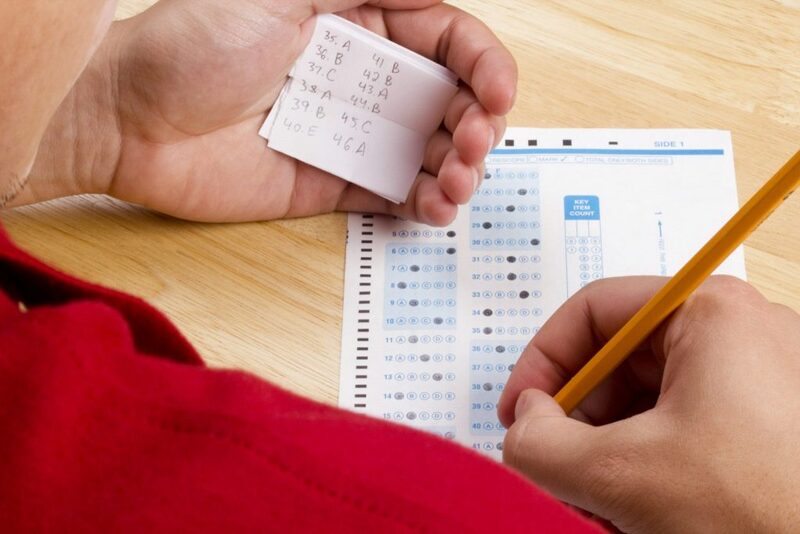 Cheating to pass exams has an effect on education since the level of competence following qualification is reduced. The student may pass the exams but the necessary skills are not attained. The future quality of education is diluted thereby resulting in below standard curriculums. 3) Pre-schooling is also a common factor in the current education world. Parents tend to take their children to pre-schools at a tender age awaiting kindergarten. Here, the children socialize with fellow children participating in fun games and educational activities. Children of the age between three and five attend these schools. These pre-schools give an upper hand since they serve as a stepping stone before the commencement of compulsory nursery education. They help in giving the children an experience of the education world hence easy induction into schools. These pre-schools help in proper advancement in the education sector ensuring a brighter future for the children and education as a whole. 4) Redshirting is also a common practice in the current education world. This is whereby children who are eligible for kindergarten school enrollment fail to join and postpone the joining date to a later period. This is commonly due to clashing birthday dates that coincide with joining dates making them to be probably the youngest in their classes. Redshirting has a detrimental effect in the education world since it delays the proper induction of a child into the education World. Education is affected alongside the student since the child has a probability of being the oldest in class making him or her feel left out and eventual poor performance in class. All in all, redshirting has a negative effect on education. 5) In the current education world, uniforms have been abolished allowing students to dress up freely. This allows the students to be able to dress up as they wish subject to certain rules and regulations. The students are able to express their interests in fashion. The dressing freedom equally has its downside. This freedom does not vouch for equality since the students from the less fortunate families are not able to keep up with the latest trends in fashion. This may have a negative effect on their performance in class due to the feeling of being undermined. This eventually affects the education World in a negative way since prime education levels are not achieved. 6) Community college education has also become rampant in the current society. They offer cheap quality education to the less fortunate not able to pay for themselves in renowned colleges Worldwide. Community college education is an affordable route to education and eventual recognition in the job market. These colleges offer various packages including night school to accommodate students from all walks of life and all age groups. They offer a driving force towards future advancement and embracing of education. 7) Internships are also among the current events in education. These are job trainings for either professional jobs or white collar careers. They are also known as apprenticeships whereby college students or post-graduate individuals work temporarily for a firm either paid of unpaid. Generally, the idea is exchange of experience for services. Internships are a compulsory requirement for various curriculums requiring a student to work in an internship at least once during the whole course. This ensures only competent and qualified workers enter the market hence giving education a push into the right direction. All these current events in education have an effect on education. Some have a positive effect whereas others have negative effects on education. It is advisable to embrace others and deter others to ensure proper future direction in the line of education. What does Cuomo’s plan mean for community colleges in the North Country?